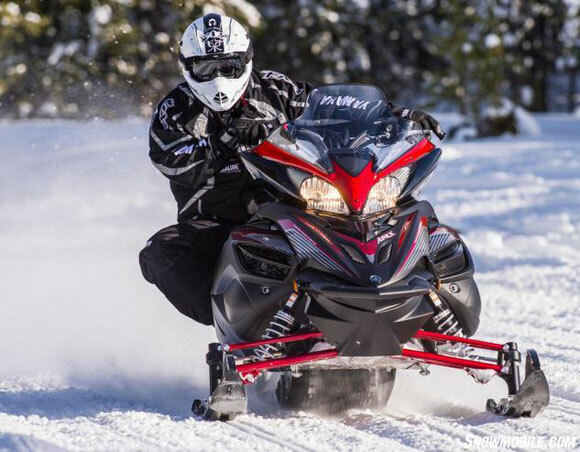 With an excellent winter boosting sales in the right direction, three of the four snowmobile manufacturers are gearing up to show off their 2015 models with the Manufacturers Sneak Peek tour beginning March 7, 2014. Touting all-new models, new technology, new colors, and the latest spring early order programs to go with them, the Sneak Peek tour is your best chance to see the new 2015 models in person before next winter. Enthusiasts who attend will enjoy an up-close and personal look at the latest 2015 models from Polaris, Ski-doo, and Yamaha. All three brands will be under one roof, showcasing nearly 50 new snowmobiles along with samplings of other products including ATVs, motorcycles, side-by-sides, and personal watercraft. With so much to see, it’s the perfect opportunity for a night out with your family and riding friends. Most shows are free to attend, and along with the new 2015 snowmobiles, you can talk directly with factory representatives to get the inside scoop on the new models along with details on exclusive spring programs. The complete tour schedule, hours of operation, and venue details and directions can be found at www.snowsneakpeek.com.